I do, however, like to save money when I can! I love a good deal, and this hack was waaay cheaper than purchasing an airbrush machine and all the accoutrements it would need. Even if I do make cookies at least 4x a year. haha. soo much right? ANYways. 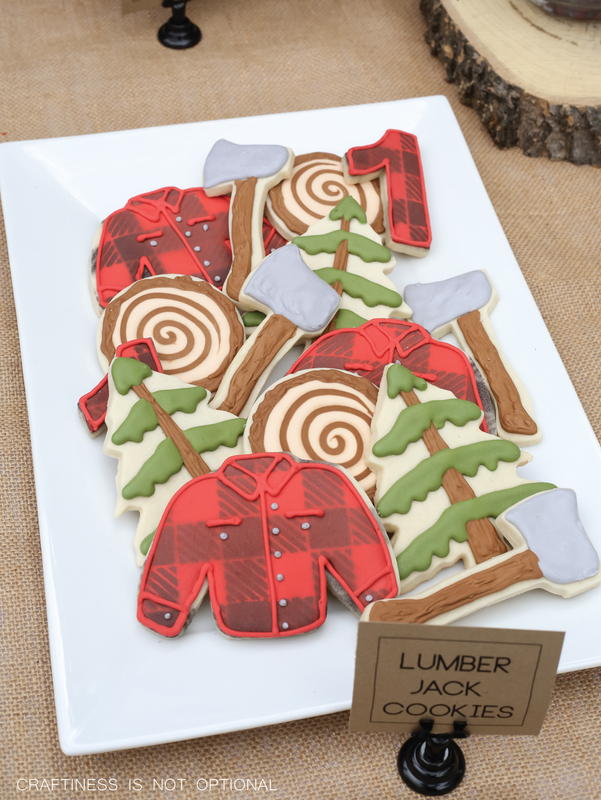 I had it in my mind that I needed plaid shirts for Jack’s Lumberjack party. 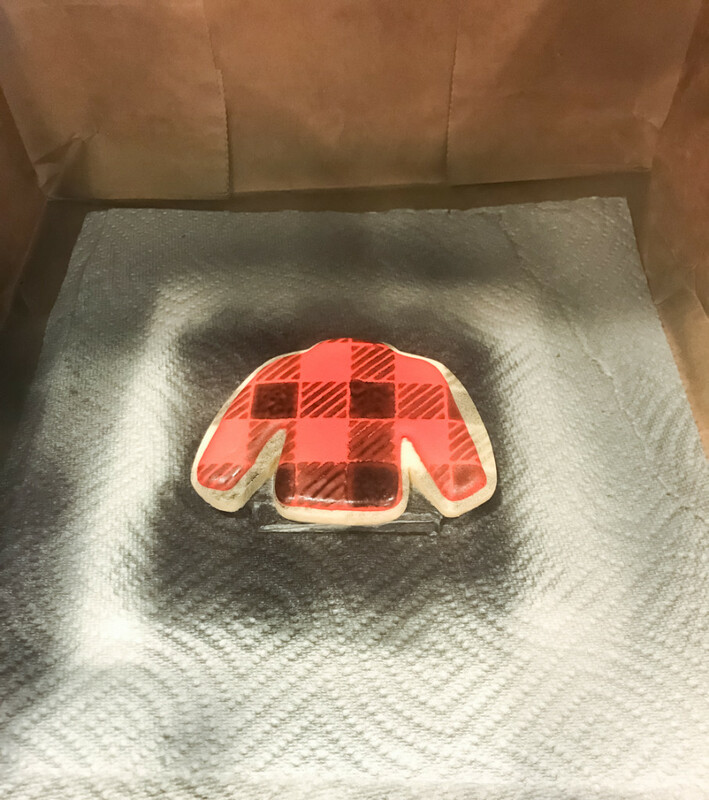 I wanted it to look like true plaid, and I didn’t want to recreate it with frosting. So here’s what I did! I bought this fab stencil material (some affiliate links in this post! ), and cut out the size and design I wanted with my Silhouette. Then I made an easy and cheap stencil frame to hold it in place with 8 magnets and 8 large popsicle sticks! 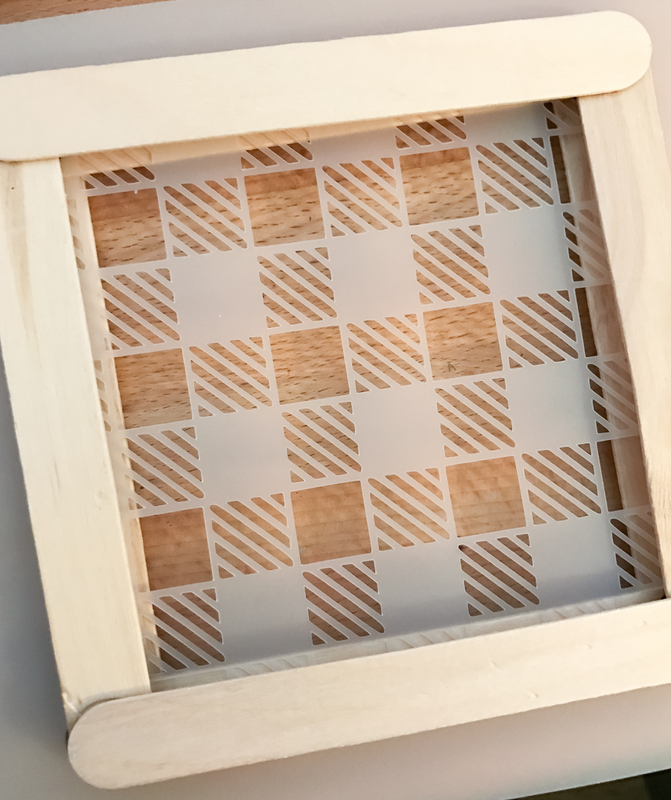 Simply hot glued the popsicle sticks and magnets in a square and sandwiched the stencil material in between. Then I just purchased some spray food coloring in black, and went to work on my frosted cookies. I made sure they were completely dry, like 24 hours dry. Then I cut one of the sides of a paper bag off, to create a little container if you will, for the over spray. 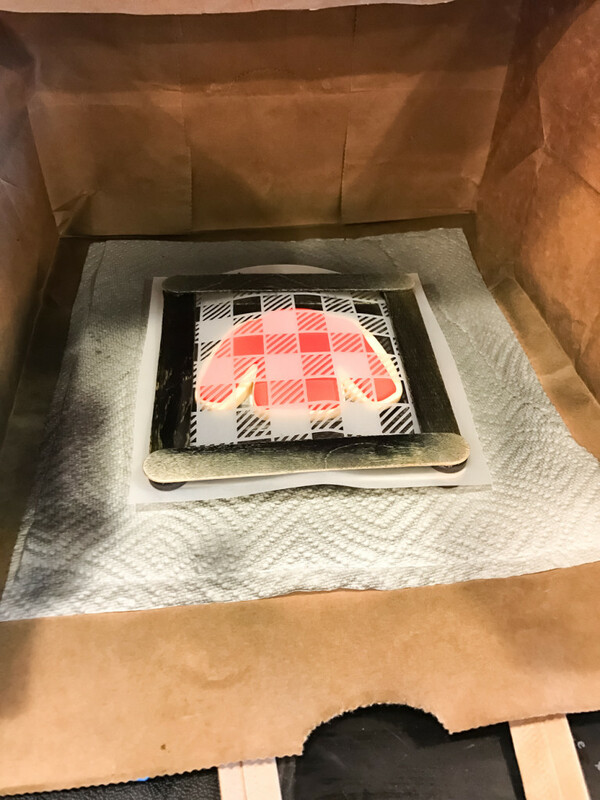 I made sure to clean off both sides of the stencil in between each cookie (just wiped it with a damp paper towel), and had to kinda play around with the direction and length of the spray. Sooo…the results were varied. I wish I’d been able to have them all look perfect, but honestly only about 5 or 6 looked how I wanted. BUT I do count this a success. Most people who attended the party were just amazed at the look of the plaid, and not nitpicky at all (why is it that we always are harshest on ourselves? 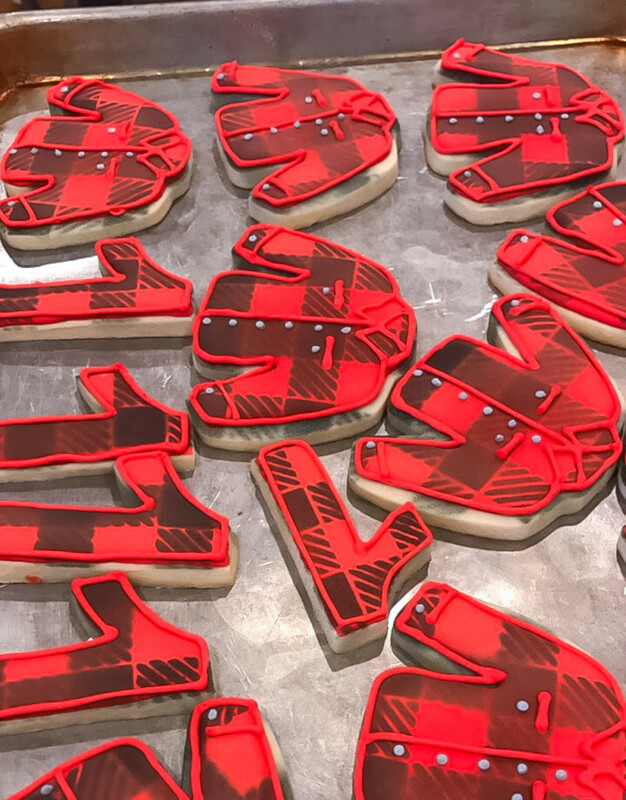 ), and when they are layered with the other themed cookies (top pic), they really look quite charming all together! I can’t wait to try this out again on another design sometime in the future! Wow! Such a cool idea!